Our goal is to connect people with the best local experts. 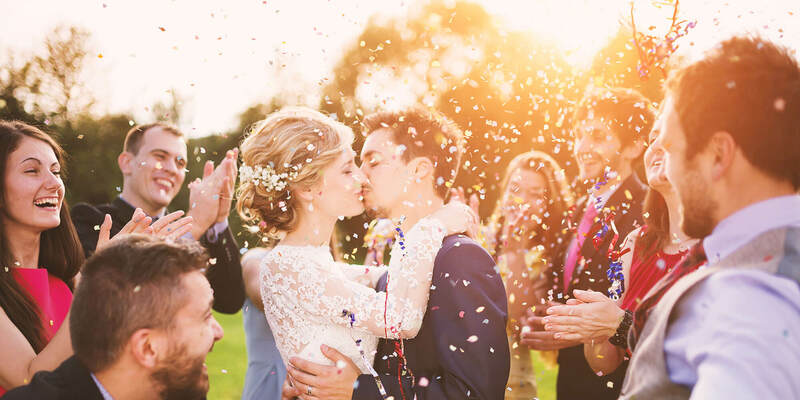 We scored wedding photographers on more than 25 variables across five categories, and analysed the results to give you a hand-picked list of the best wedding photographers in Rockford, IL. B. Adams Photography's wedding coverage includes eight or more hours of coverage, multiple photographers, edited images in an online gallery, and discounts on prints. The business offers add-on items such as hardcover books, albums, and gallery wraps. The photography studio also shoots engagement portraits, newborn photos, maternity portraits, family portraits, and high school seniors. Clients have praised B. Adams Photography for its friendly, talented, and fun photographer. C. Tyson Photography has been serving Rockford clients since 2008. The studio's work has been featured by Wedding Vibe, HuffPost Weddings, Trendy Bride, Style Me Pretty, Bridal Guide, The Knot, Brideside, Quarterly Northwest, and other publications. The business' wedding package includes all-day coverage, a second photographer, edited photos in an online gallery, an engagement photo session, and a 30-page album. Catalyst Design and Photography is a professional photography business co-owned by photographers Jesse and Jen. Located in Rockford, Illinois, Catalyst Design & Photography specializes in weddings, but also offers portraits (families, children, or maternity), baby’s first year packages, senior photos, photo booths, and commercial photography. Clients praise Jesse and Jen’s relaxed style, natural photos, photogenic results, and fun-to-work-with personalities. David C. Olson Photography has been serving the Rockford area for more than 20 years. The business won Best of Rockford 2016 in Commercial Art & Photography Schools. The company shoots wedding photos as well as children's portraits, family portraits, professional headshots, high school senior portraits, and other types of portraits. The studio has 1500 square feet of sets and an outdoor setting with waterfalls, swimming pools, and gardens. Clients have praised the photographer for his kind, considerate attitude and beautiful photos. Hillside Studio provides a mix of photojournalistic, artistic, formal, and detailed shots in its wedding coverage. The business also shoots high school seniors, fashion shots, family portraits, and baby photos. The studio is a member of Professional Photographers of America, Wedding and Portrait Photographers International, Association of Professional Photographers of Illinois, and Professional Photographers of Northern Illinois. Clients have given positive feedback for Hillside Studio's thorough, creative, professional, and knowledgeable photographer. Indigo Photography is made of a husband and wife team based in Rockford. The photography studio has been serving clients for more than 10 years. The business has been featured on Bride Meets Wedding, Wisconsin Bride, and The Knot. The studio takes 10 weddings a year and will travel for destination weddings. Indigo Photography also shoots senior portraits, engagement photos, and headshots. Clients have praised the business for its professional, outgoing, and flexible photographers. Janderson Photography has been serving the Rockford area for more than 10 years. Based in DeKalb, the studio is a member of Professional Photographers of America and is accredited by the Better Business Bureau with an A+ rating. The business photographs weddings as well as business headshots, school photos, and lifestyle portraits. Clients have praised the studio for its quality work. Jay Bryant is an award-winning photographer with more than 30 years of photography experience. The photographer has worked for the White House, the Associated Press, Gannett Newspapers, and The Orange County Register. The studio captures weddings, portraits, and family photos. Clients have given positive feedback for Jay Bryant's beautiful, timeless photos. The photographer behind Jen Sacia Photography has been capturing photos since she was a child. The studio, based in Pecatonica, photographs weddings and engagements as well as family portraits, high school senior portraits, newborn portraits, and kids' portraits. The business also offers mini sessions at discounted prices. Clients have given positive feedback for Jen Sacia's open communication, patience, and fast work. Joanna Kay Photography was founded by a full-time college student with a passion for photography. The Rockford photography studio shoots weddings, special events, engagement photos, family photos, and individual portraits. The photographer will travel for special events. Joanna Kay uses a natural, photojournalistic approach to photography. The owner of Jonathan Brust Photography has been shooting pictures since he was 15. The Hampshire-based photography studio provides options for digital files, an engagement session, a custom wedding album, and multiple photographers on the big day. Clients have given positive feedback for the business' talented, attentive, and friendly photographer who captures every detail. Luis Hermosillo captures elopements, local Rockford weddings, and destination weddings. The business' wedding packages include all-day coverage, an engagement session, an online gallery, an assistant photographer, print release, and photos on a flash drive. The photography studio also captures family, senior, and couples' portraits. Clients have praised the photographer for his organization and classic, timeless photos. The owner of Meg Dunn Photography has been working in the field for more than 10 years. The Rockford studio photographs weddings, engagements, baby photos, home interior photos, and family portraits. Clients have praised Meg Dunn Photography for its passionate, professional, fun, and organized photographer. Nicole Lender is a photography studio based in Rockford that will travel for destination weddings. The business' wedding package includes a wooden USB with all images, an online gallery, high-resolution digital downloads, a print release, and a complimentary engagement session. The studio includes two photographers to fully cover each wedding day. Clients have praised Nicole Lender for her personable and easygoing attitude. Ryan Davis Photography has photographed hundreds of weddings in the Rockford area. The photography studio's wedding package includes up to nine hours of wedding coverage, edited images in an online gallery, online photo backup, and a print release. The business' add-on items include a 40-page album and canvas wraps. Clients have praised Ryan Davis for his quality photos and reasonable prices. Simply Photogenic Photography is a photography studio based in Loves Park that offers a private online photo gallery, professional editing, a USB of edited photos, and a complimentary engagement session. The business has add-ons available such as wedding albums, gallery print wraps, and stand-out wall art. The studio also captures high school senior portraits, family portraits, maternity photos, and newborn photos. Stephanie Hulthen Photography is an award-winning business that has been seen in Evoking You, Senior Style Guide, The Knot, Sweet Violet Bride, Wedding Guide Chicago, and Chicago Style Weddings. The photography studio photographs weddings, engagements, high school senior portraits, commercial photos, and family portraits. Stephanie Hulthen provides photography mentoring and holds workshops for aspiring photographers. Thompson Digital Image Photography's wedding packages include an engagement session, two photographers at the event, high-resolution images on a flash drive, an online gallery, and a photo release. The studio also provides boudoir photos, special event photos, and portraits. Clients have praised Thompson Digital Image Photography for its reasonable prices and approachable, talented, and professional photographer. Vanessa Yoss Photography serves clients in and around the Rockford area. The studio shoots weddings, engagements, and boudoir photos. The business also captures maternity portraits, newborn photos, classic portraits, and high school senior portraits. The studio gives discounts to active military members. Vanessa Yoss Photography prints gift sizes, wall portraits, and fine art canvases, and offers albums and keepsake photo boxes. Clients have praised the business for its attentive, professional photographer who communicates well. White Shutter Photography is made of a husband and wife team of photographers. The Rockford studio captures weddings, family portraits, high school senior portraits, and corporate photos. Clients have praised the business for its helpful, creative, pleasant, and energetic photographers.